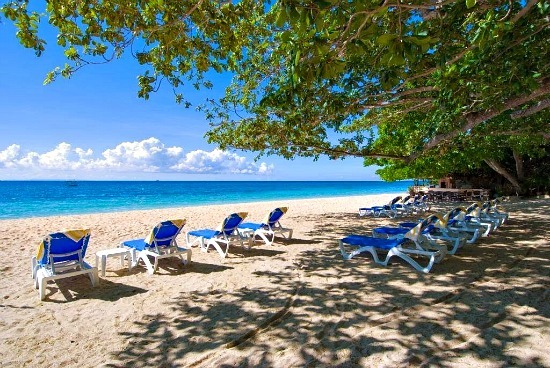 This 'fantastic' and happy ('alegre' is Spanish root word for happy) beach resort is located some 80 kilometers from the Metropolitan and Mactan island's international airport. 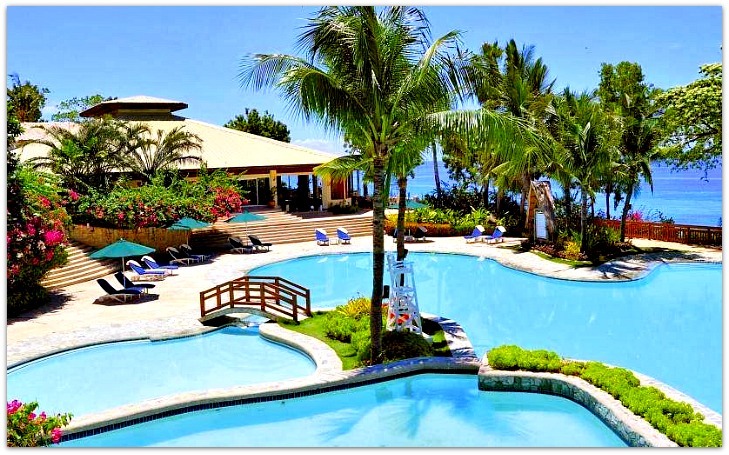 Alegre Beach Resort nestles amidst a 7-hectare green tropical gardens of the province. Its white sandy beach and turquoise water lure visitors from everywhere making the place famous. Inspite its popularity you can always have your quite, relaxing, and private space. Alegre offers you all the facilities, services and amenities that a 5-star hotel can offer. It simply means that you can have a great time in this place in addition to the fantastic beach, sea, and interesting water activities you can experience. To summarize about what this place offers, here are some of its features. surrounded by tropical plants including palm trees, flowering plants, etc. The cabanas has great facilities including: television, minibar, air-condition facility, a huge veranda where you can enjoy the view of the surroundings and the blue sea. 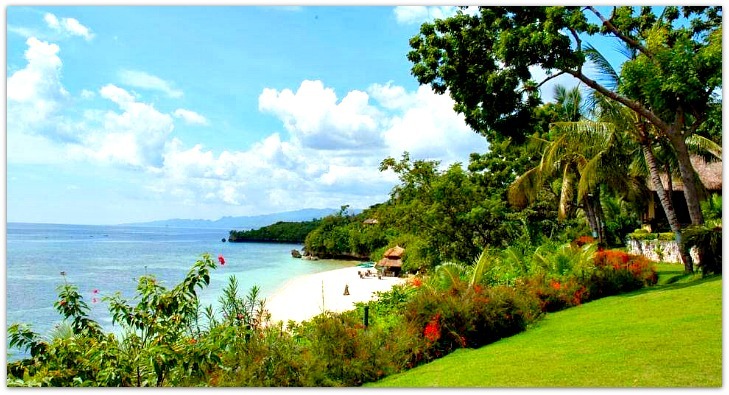 The private coves of Alegre Beach Resort can totally give you relaxing and tranquil feeling. You can walk on the beach, lie lazily on the lounger, swim or just get sunkissed. The palm trees, flowering plants, trees, green grass and everything that the natural can give will definitely make your holiday the best of your life. All visitors said those already! All conveniences of a five star beach resort. Alegre offers only the best to its honored guests and visitors. Being a 5-star facility, it provides you great services with its friendly and helpful hosts. You can avail most of the facilities you might need for your perfect holiday and rest. "The Cliff Seafood BBQ and Bar". Yes, this is perfect for a place like this especially when the darkness starts to cover the world and all you can hear are the waves of the sea and the insects lurking in the dark but peaceful surroundings. You will have all the time in the world to have fun and relax in this area. Alegre Resort is established in a tranquil part of Cebu Province. Although away from the busy and modern part of the city, Alegre Resort offers various active as well as entertaining activities that you will certainly enjoy with. Library room, game room, tennis court, and other sports facilities. You can enjoy and relax reading some materials while on vacation. Children and adults can also play games indoor if you don't want to go out. However, if you want a bit of challenging games, you can play outside with volleyball and other games available. Swimming pool. Alegre has fantastic pools with sea view. There are various water levels so that guests with various heights and swimming skills or non-skill can enjoy the cool water of the resort. Loungers, sits and tables are available. Sure, you can order refreshments and snacks while enjoying the water and sun. 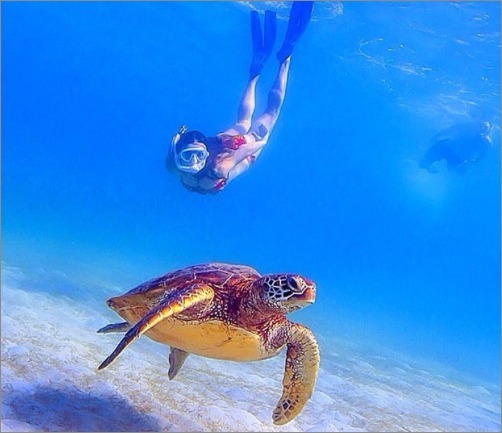 Aqua sports: jet-skiing, snorkeling, kayaking, island-hopping, etc. For those who wish to get little bit away from the resort and enjoy some water adventures - take any of these activities. Let the front desk know or arrange your activity to make sure you can avail it right away or anytime you want it. Alegre Spa: indoor treatment rooms & outdoor gazebo. This is for rejuvenation service especially for the tired and over-worked individuals. The master masseurs can make you reinvigorated through their expert skills and effective herbs & oil massage. Alegre Beach Resort does not only do things for business alone, but it also offers its contribution to the society and environment by doing what it can to promote environmental protection. With the resort's complete address, below, it will be very easy to find the place. Address: ALEGRE BEACH RESORT & SPA, Calumboyan, Sogod, Philippines. It takes about 90 minutes by car or taxi from Mactan-Cebu International Airport. If you prefer, you can take an airconditioned bus from Cebu North Bus Terminal that will bring you close to the resort. Another best way is to arrange a pick up service from anywhere (or airport) to the resort itself. The link will bring you straight to the official Agoda website, the world's most popular booking service provider. The link shows more descriptions of rates and nice photos of Alegre Resort. Then you can decide whether to inquire deeper or book right away and enjoy the place. You'll never regret if you do! Thanks a lot for visiting and reading through this page. Hope this has helped you a bit or in some ways. Visit this site again to learn more about Cebu's travel destinations, vacation facilities, beach resorts, adventures & sites, among other fun and relaxing events.